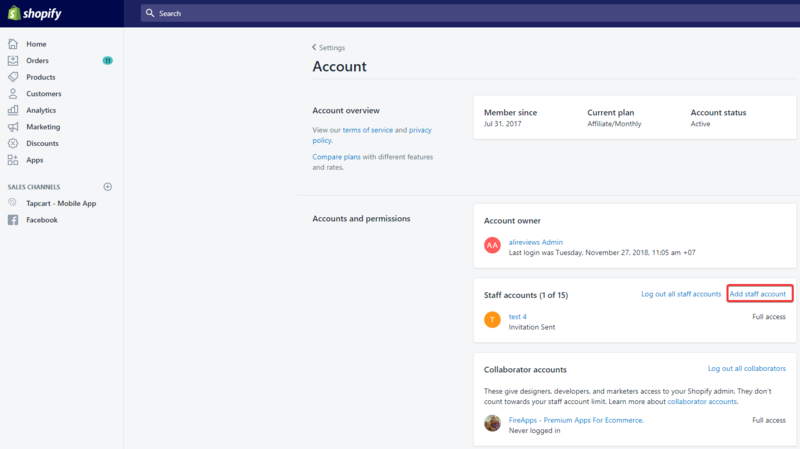 How to create a staff account? Sometimes, you should create a staff account for us to help you out with the technical issue. 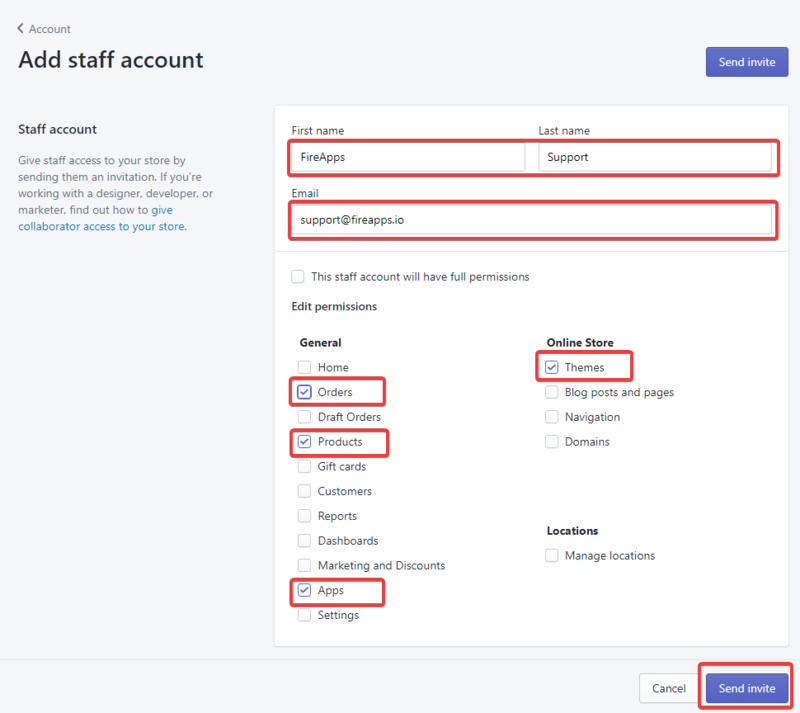 You should create a staff account to email: support@fireapps.io for us to log in and check the issues. 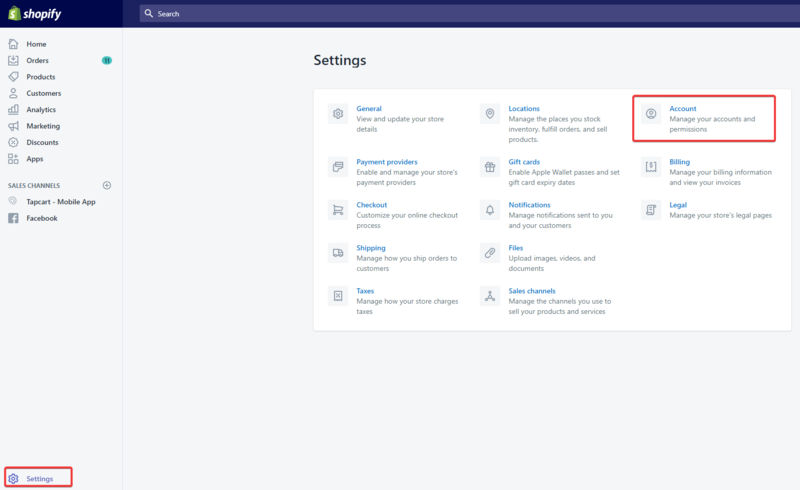 Make sure to give us Products, Apps, and Theme or Orders access permission (Orders permission needed if you have problem with Ali Orders app) .